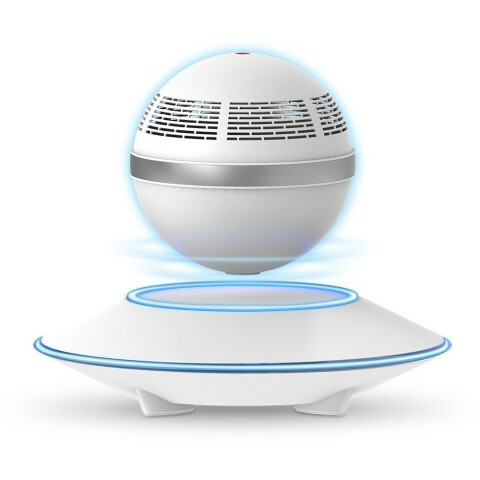 The Zvoltz Levitating Bluetooth Speaker is the ultimate sound system for your space. Integrated with 5W Hi-Def speaker and equipped with unique features that allow you to listen, talk and enjoy all in one convenient place! CONNECT – With Bluetooth 4.0, powerfully stream from your devices without interruptions. 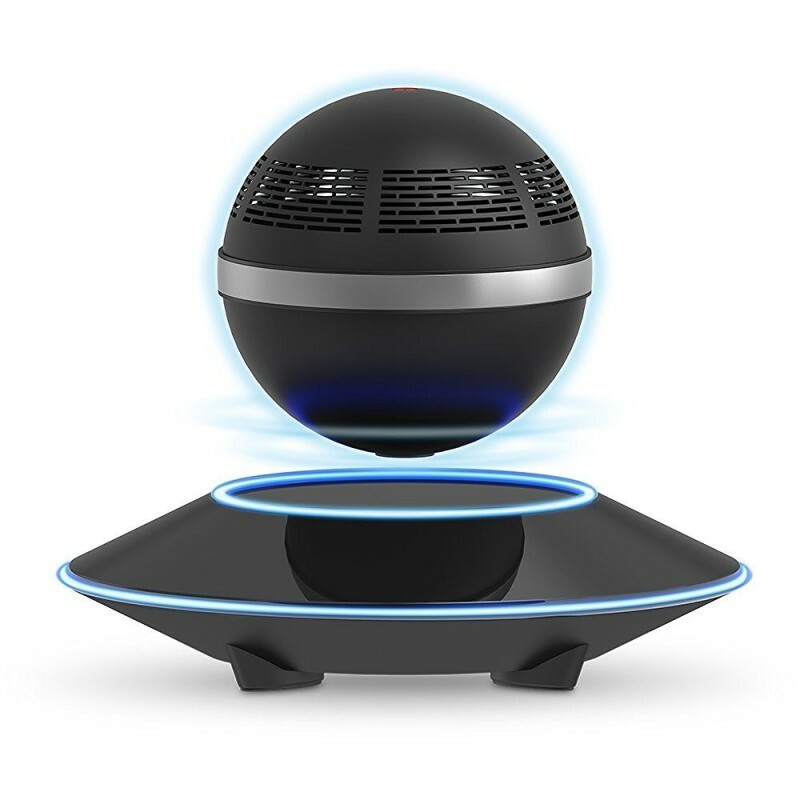 PLAY – 360 degree rotation allows for a richer listening experience no matter where you are. TOUCH – Control all features of the speaker with just a simple touch. LIGHT IT UP – Eqipped with glowing LED lights to light up your space and bring life to your music. LOUD AND CLEAR – Featuring a 5W Hi-Fi speaker that delivers rich superior sound and impressive volume. TALK AWAY – Featuring a built-in microphone to enjoy hands-free conversations.